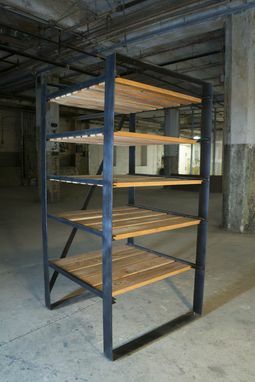 Large, Industrial style shelving rack or pantry organizer . Made from reclaimed white oak and steel. 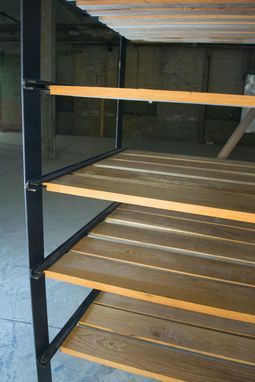 Shelves are routed to be able to slide in and out and the unit includes adjustable level feet for convenience! 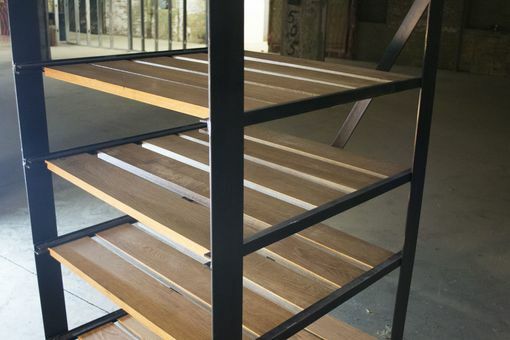 All steel is coated with matte black enamel and sealed with clear coat. 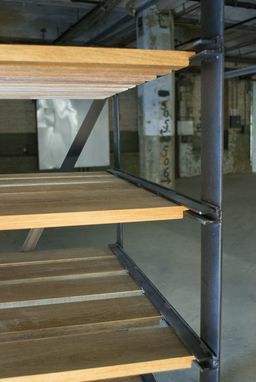 All wood is treated with Natural Danish Oil. The item pictured is approximately 5 ft tall and 30" wide x 30" deep. BUT if you would like something similar with different dimensions please contact me for a custom order. Note: this is an industrially inspired piece and has a weight to reflect that. The item pictured above is approximately 100 lbs fully assembled. All items are built to order so please allow 6-8 weeks for us to complete your order!